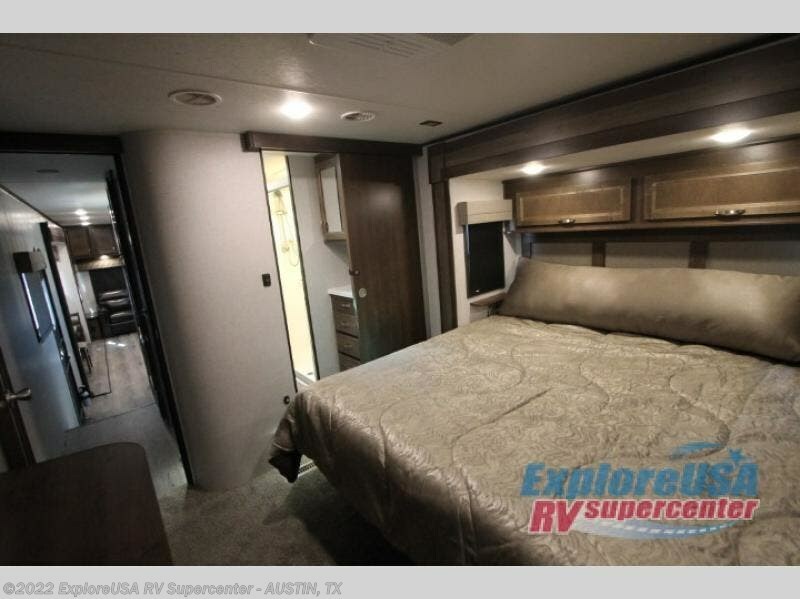 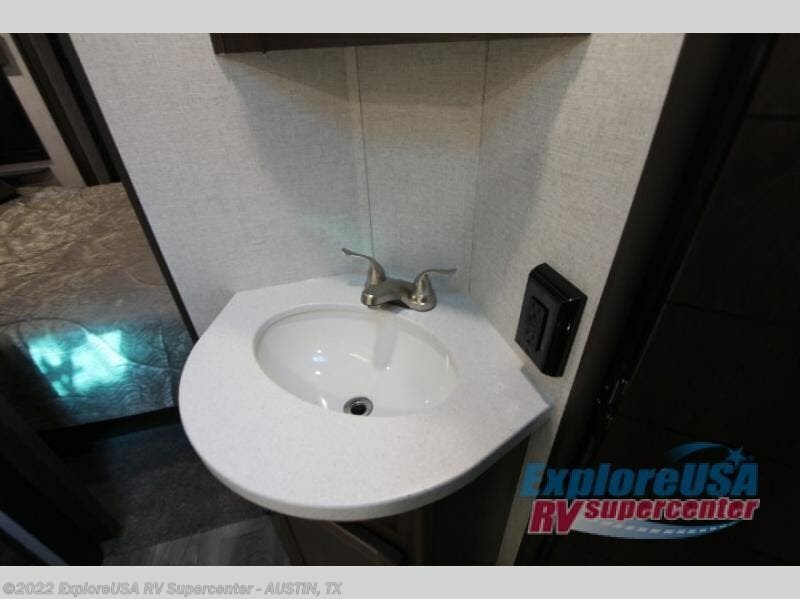 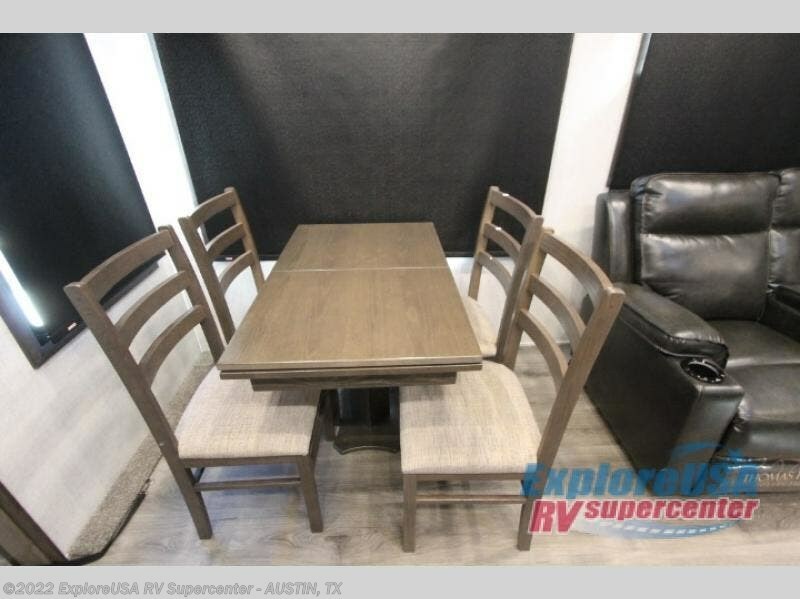 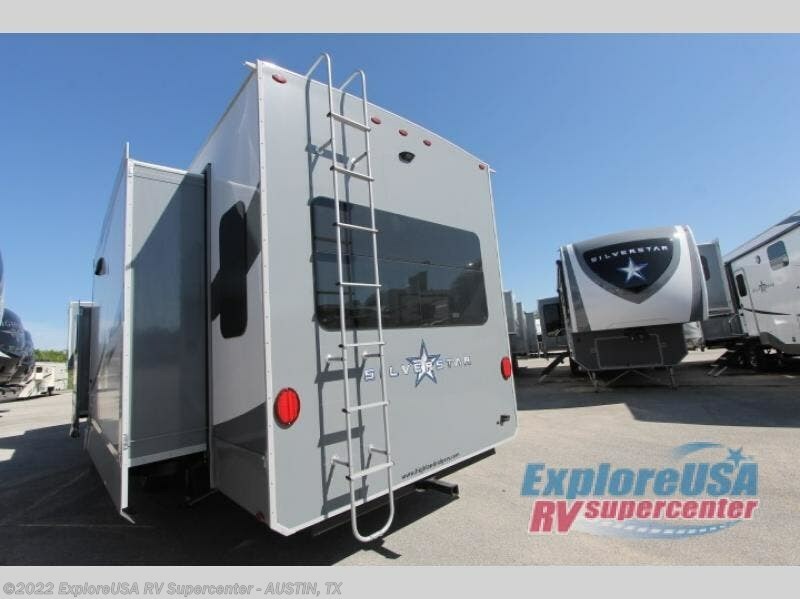 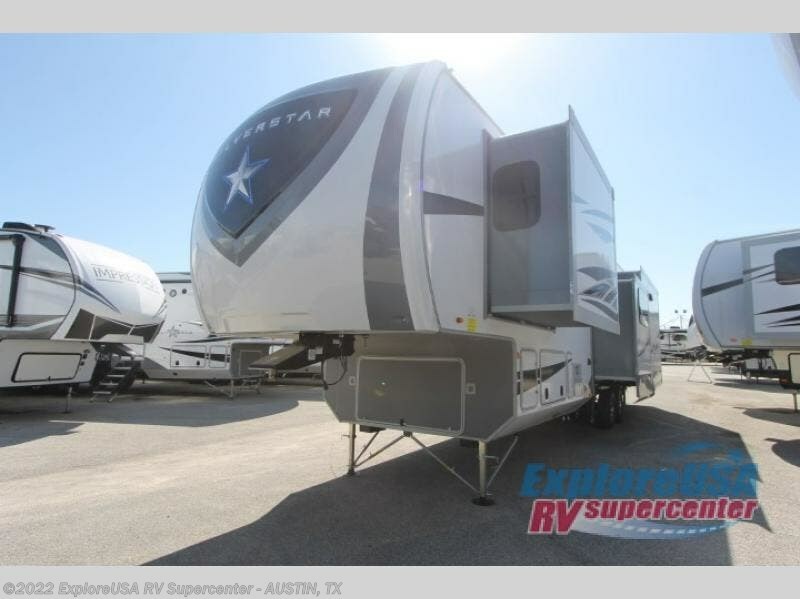 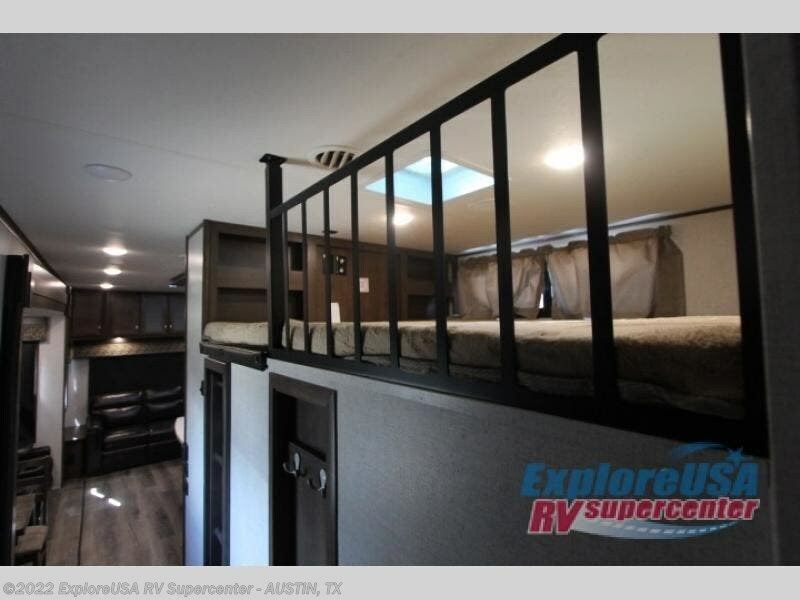 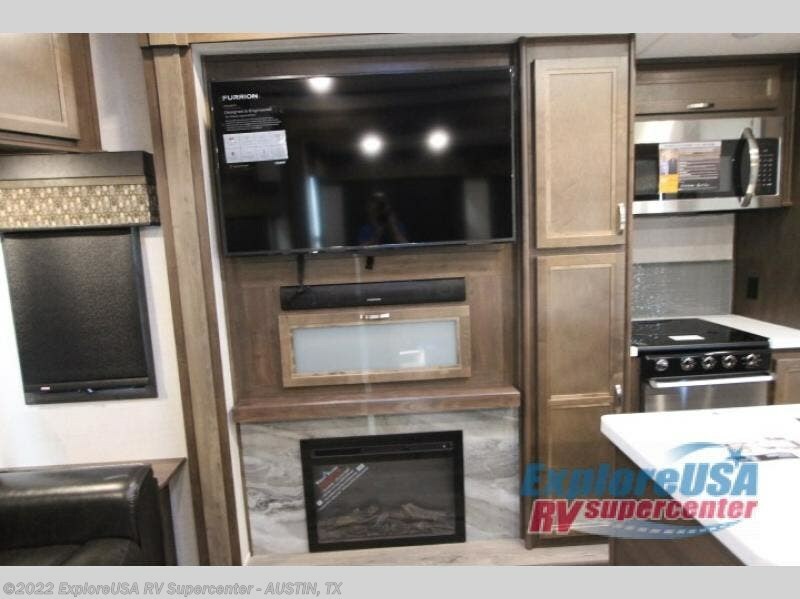 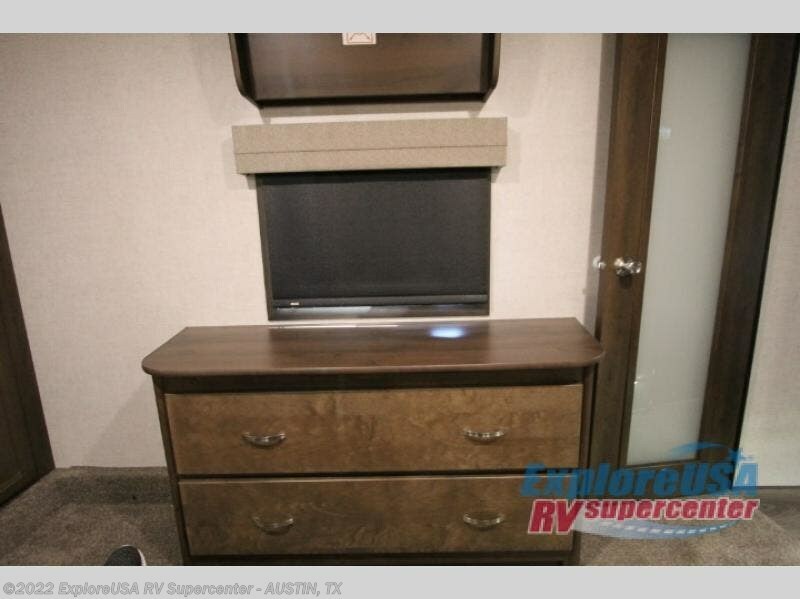 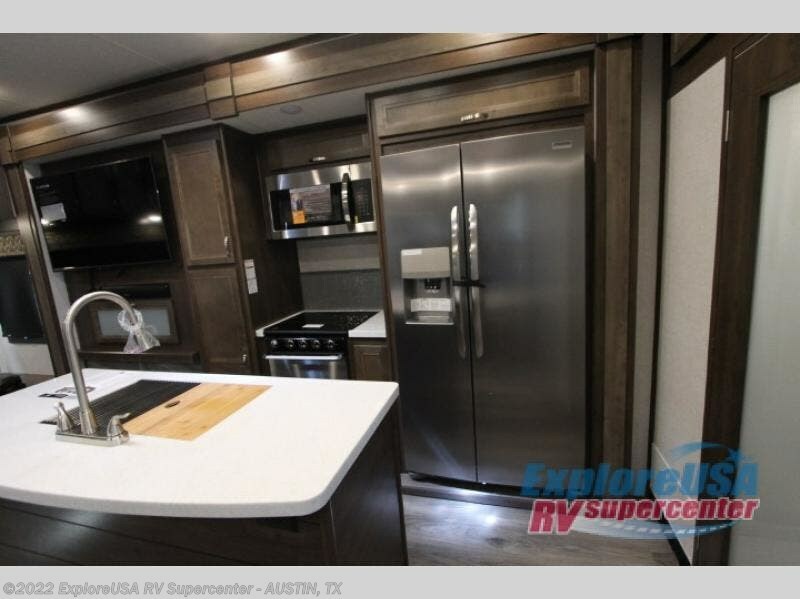 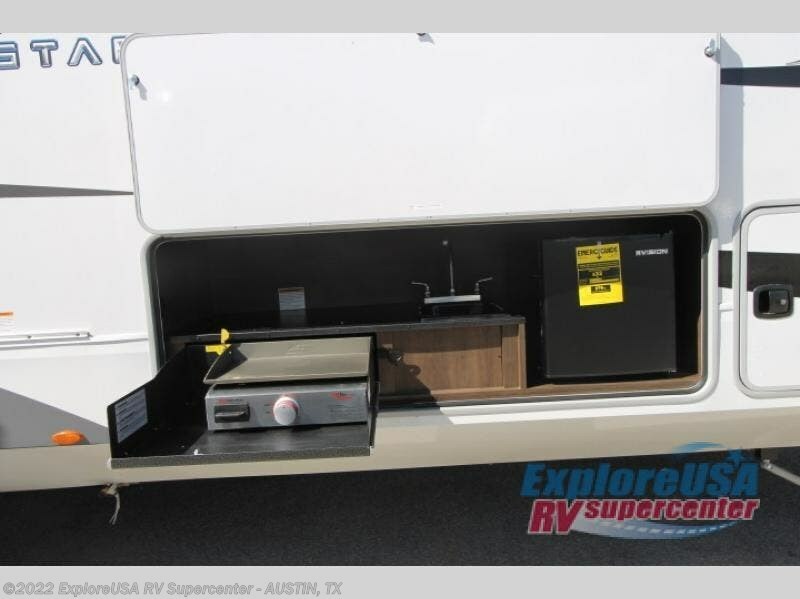 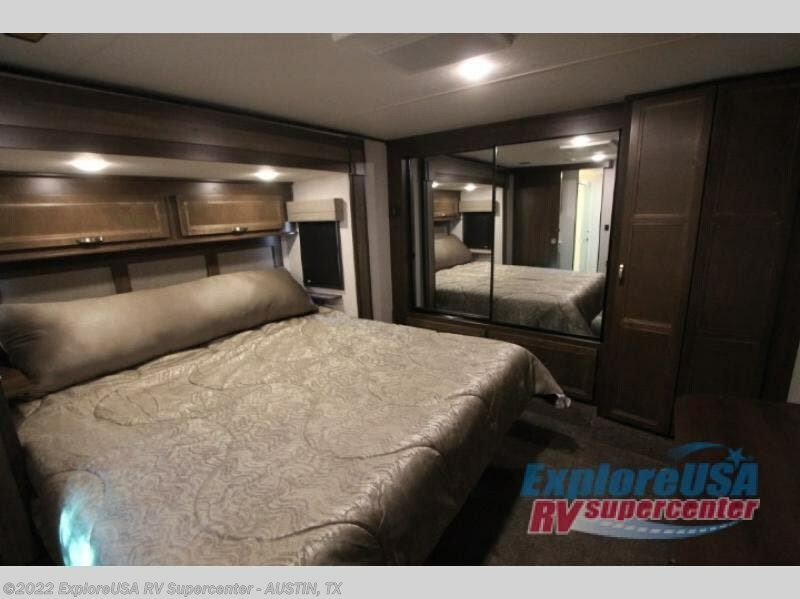 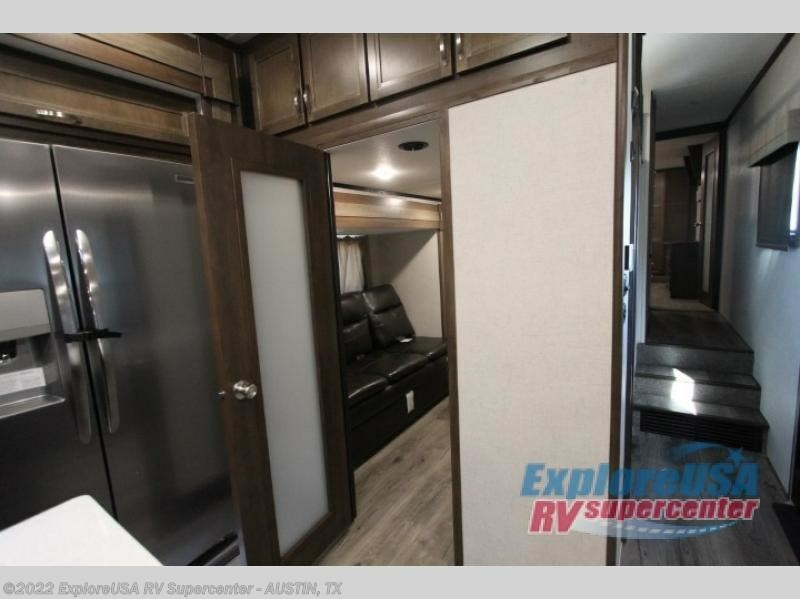 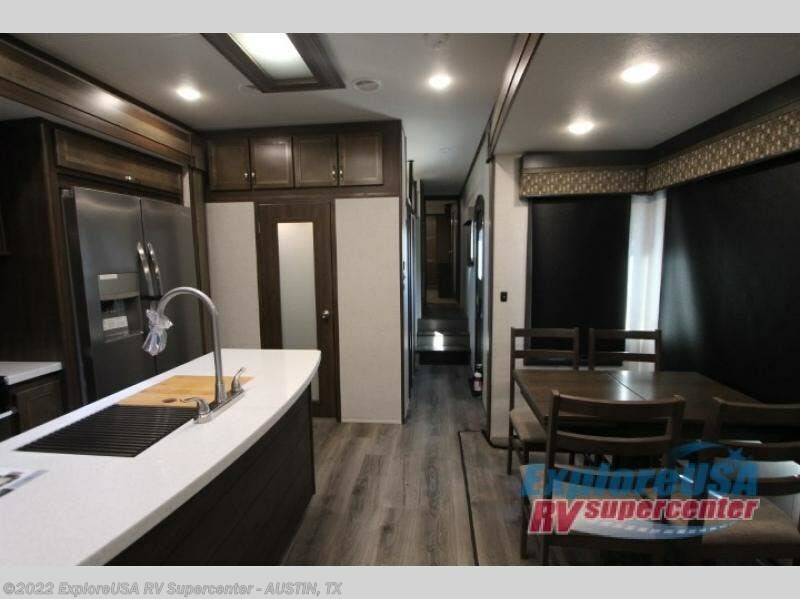 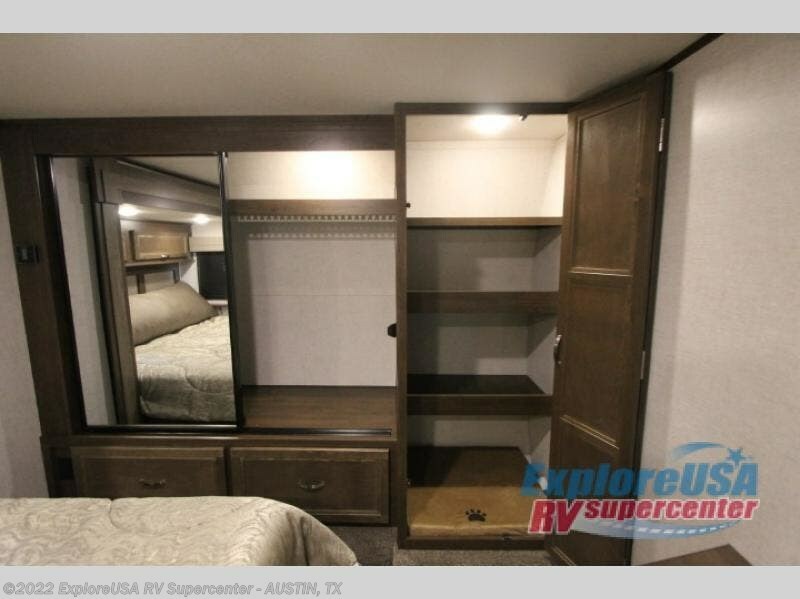 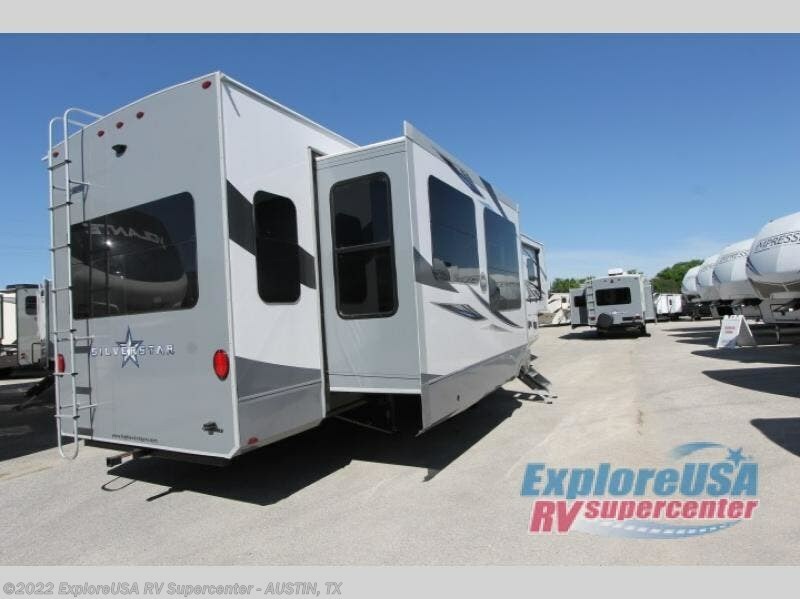 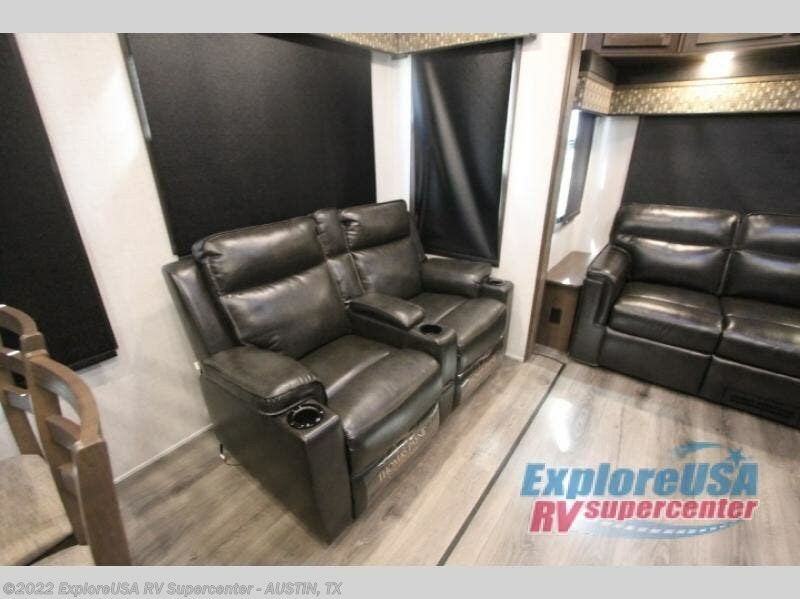 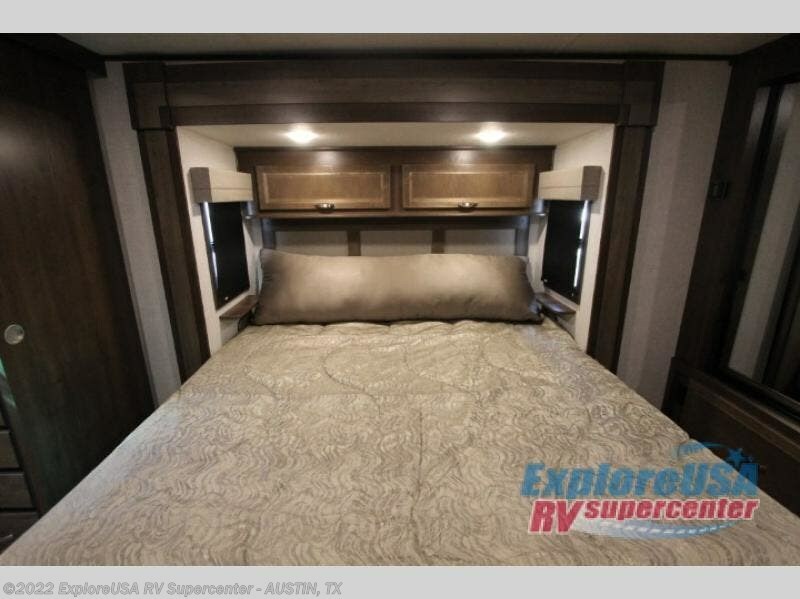 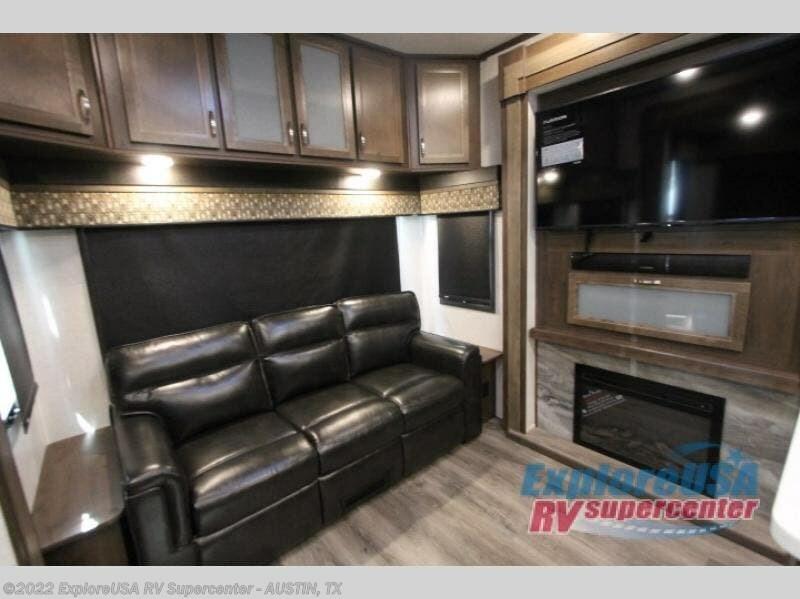 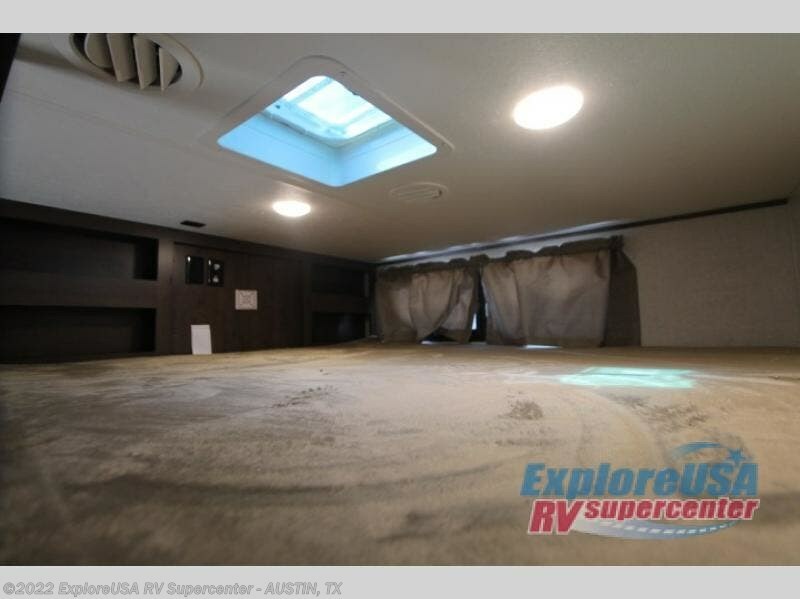 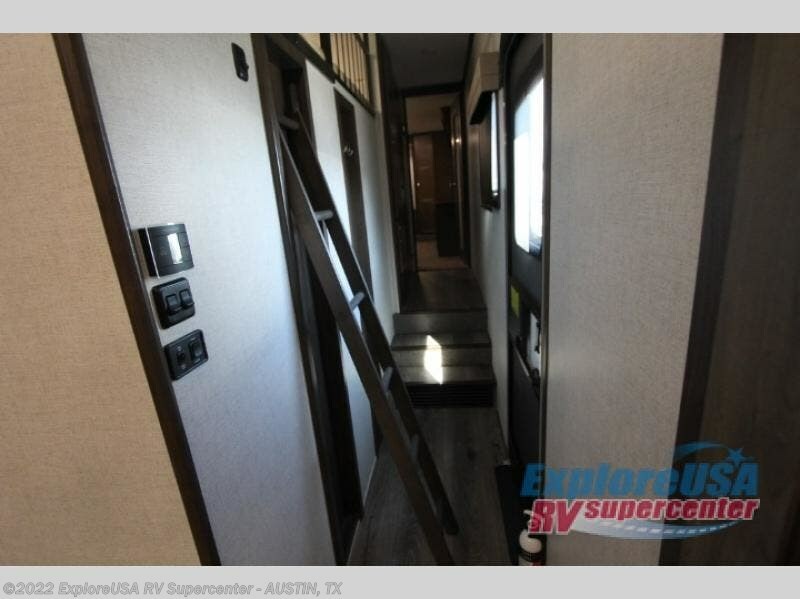 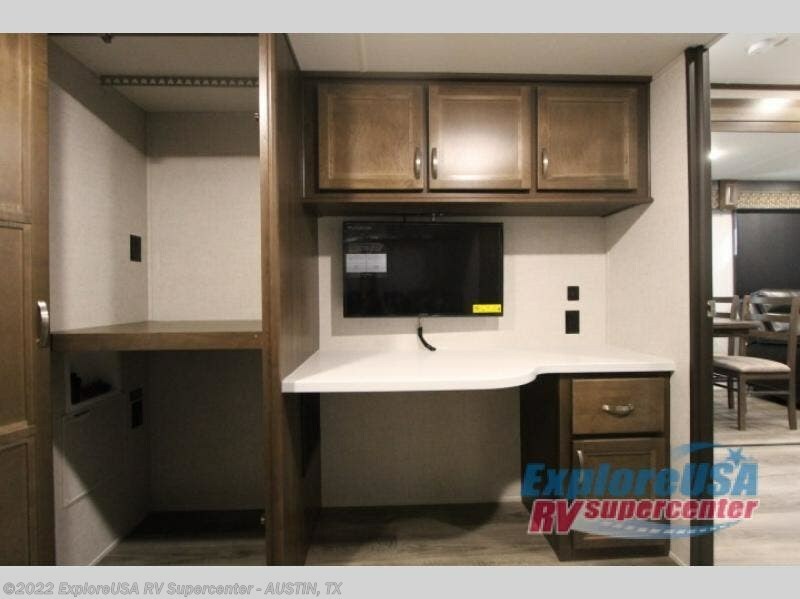 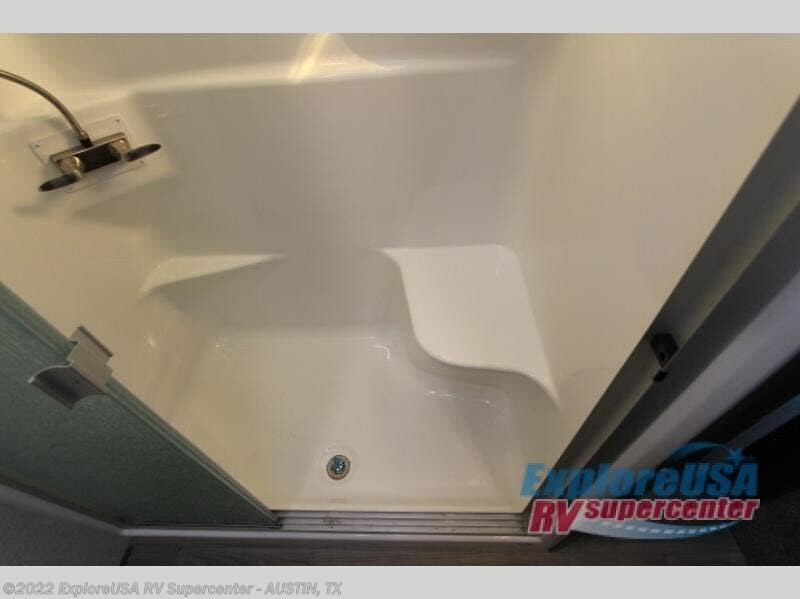 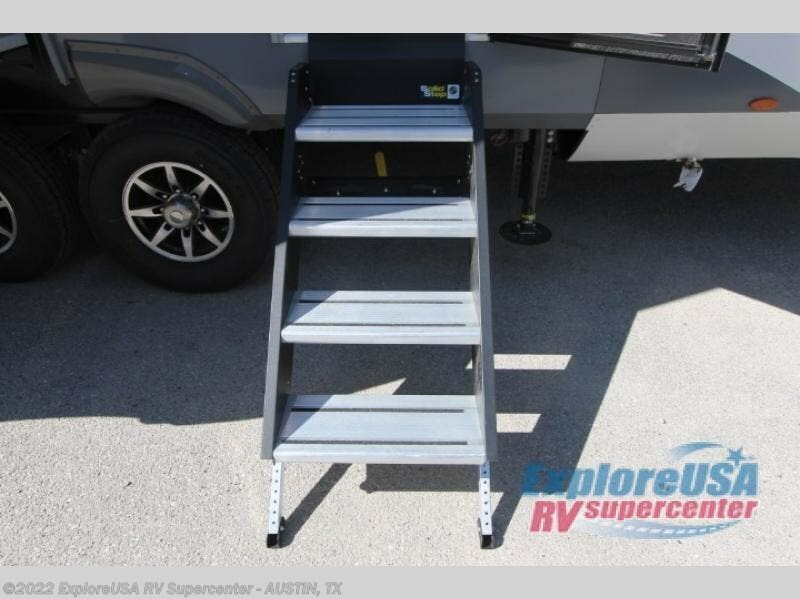 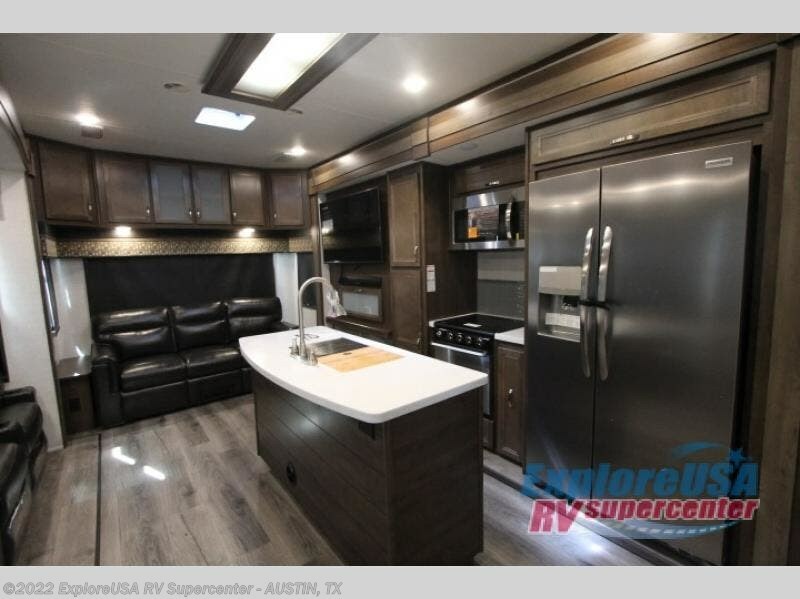 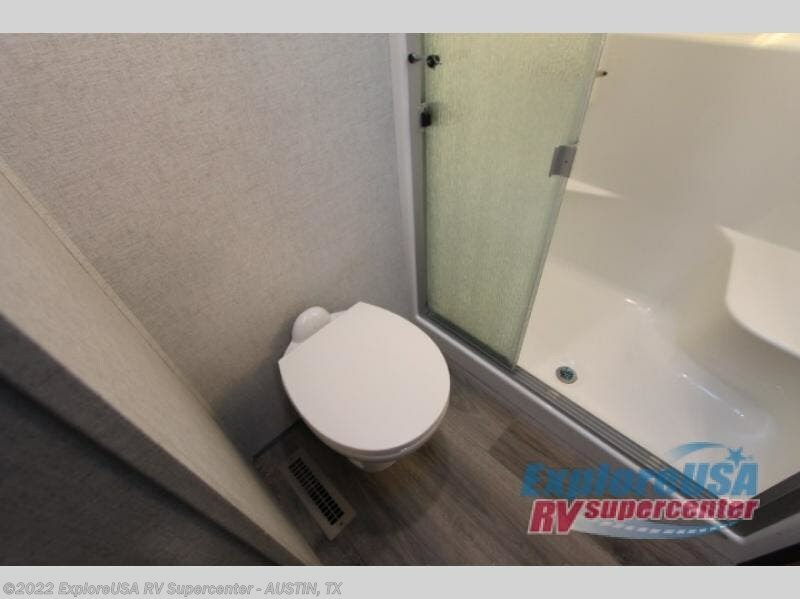 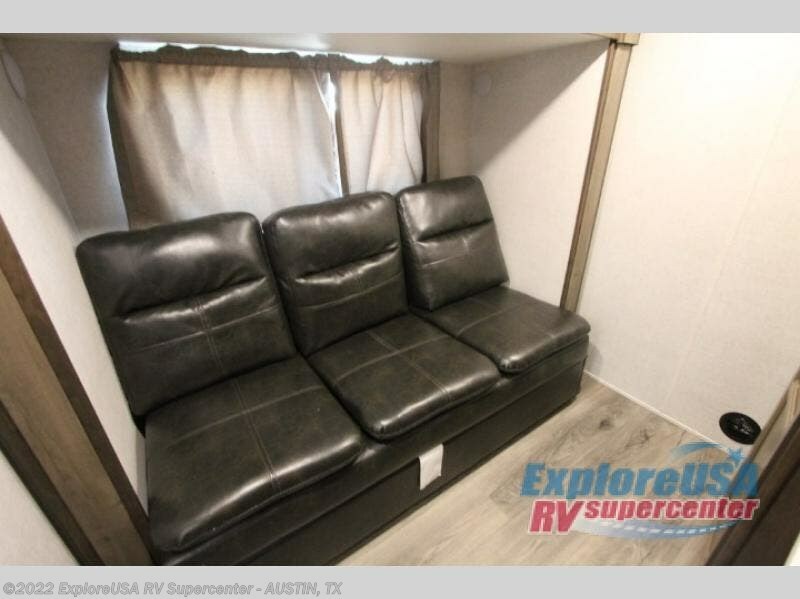 If camping includes working some while the kids are playing outdoors, this Silverstar fifth wheel might provide the perfect extra room to be utilized as an office thanks to the desk and cabinets, a smaller living area with a sofa and even a bedroom for the children. 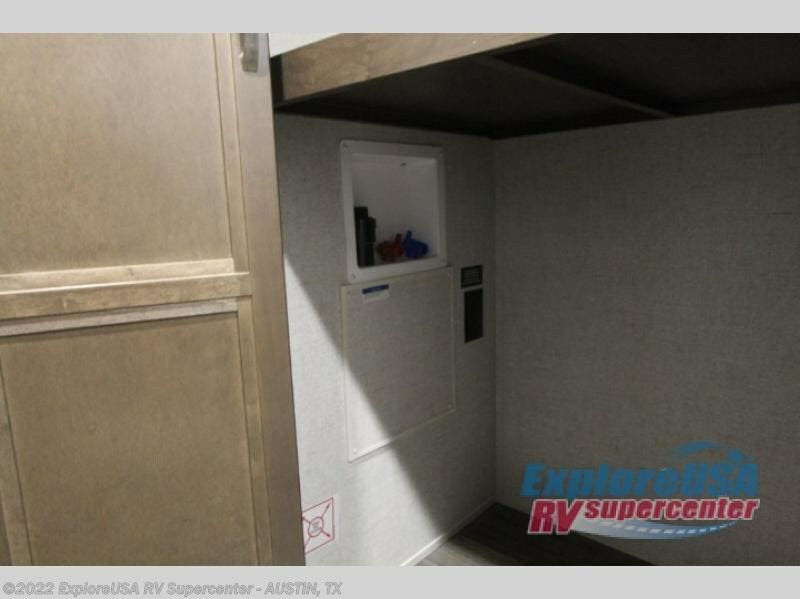 The loft is above providing sleeping space for the kids or open storage for totes and such. 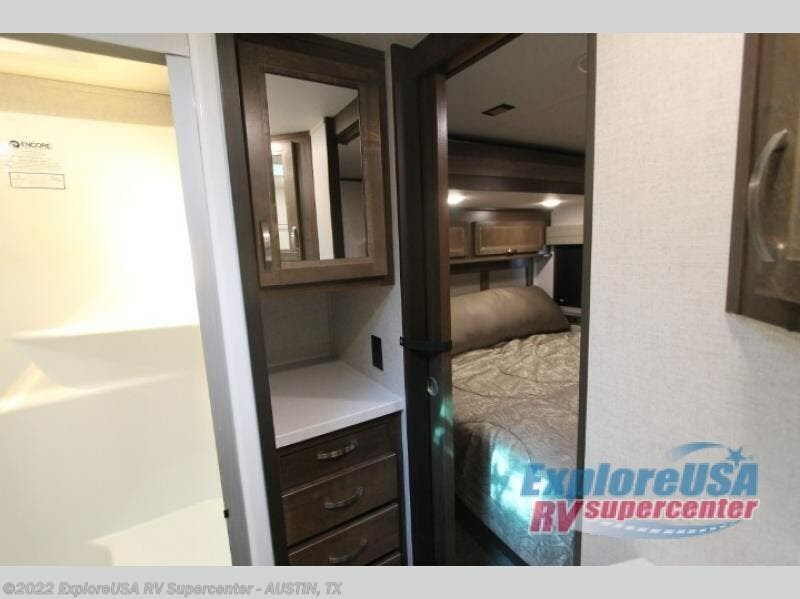 Your private bedroom allows access to the bathroom, a mirrored wardrobe for your clothing, a space for an optional washer and dryer, and a USB/12V charging port that continues to charge your electronics without being hooked up to the power source. 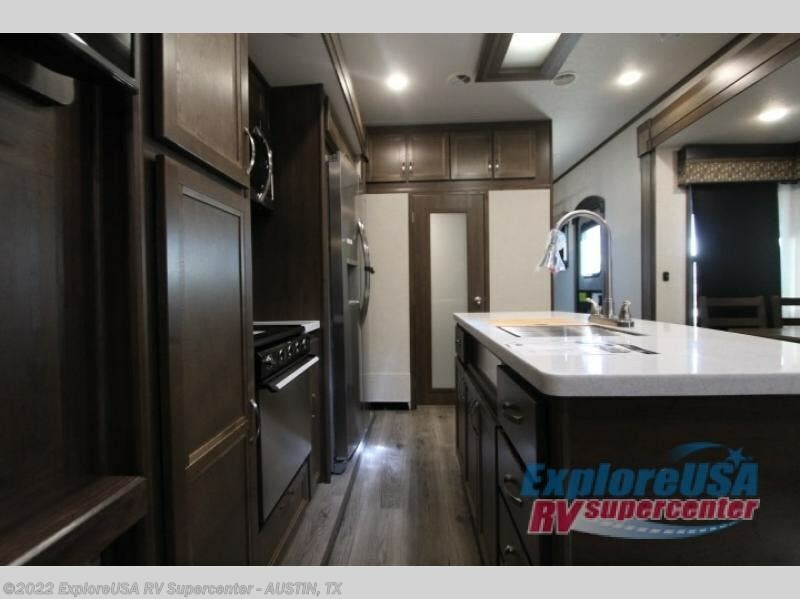 The combined main living and kitchen area is spacious and beautiful with the stainless steel appliances, cabinetry, and windows to see outside and the entrance to the extra room. 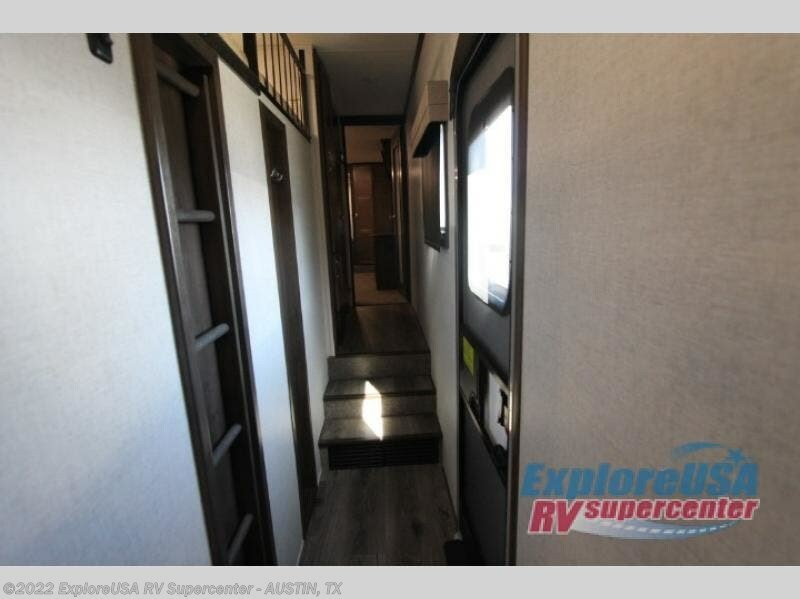 Step inside, you will be amazed! 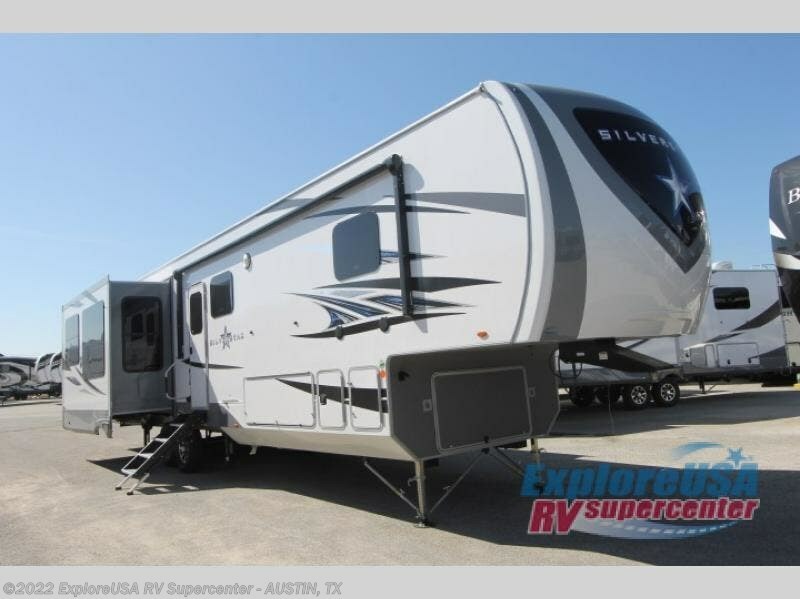 Check out Stock # K2840 - 2019 Highland Ridge Silverstar SF371MBH on highlandridgesource.com!